Finding Fish with Remote Control Assistance? 1. The fish finder I’m interested in is the Humminbird RF15. It basically is a bobber that doubles as a sonar and transmits wirelessly back to your receiver. It has two holes … one for the line leading to your rod, and another for your hook. Is this legal in California? 2. Can I attach this sonar to an electric remote-controlled (RC) boat and use the RC boat for positioning the sonar? 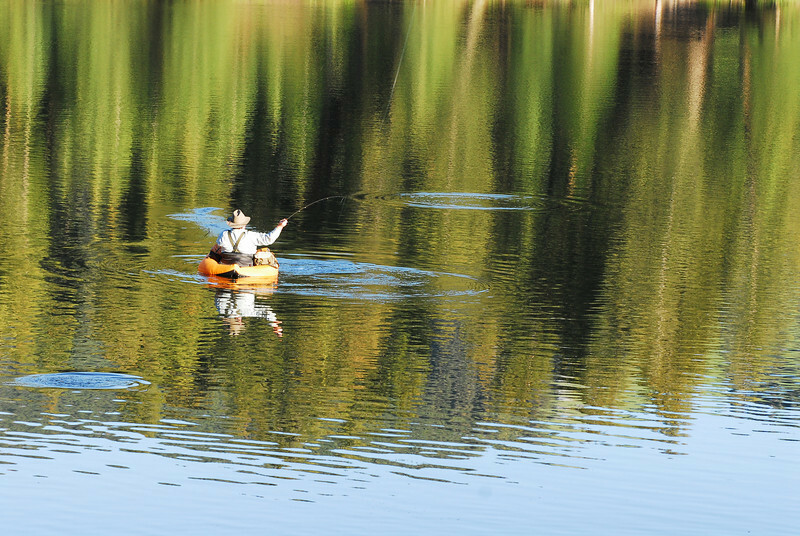 In this configuration, no hook/rod/reel would be used – it would strictly be used as a fish finder. 3. Can I use an RC boat to carry my lure to deeper water (about 300 feet from shore), then once in position, drop the lure and reel it in as normal with a rod/reel? The only thing the boat is doing in this scenario is taking the lure out, then dropping it. In this configuration the lure would be out of the water until it’s dropped. I would then bring the boat in and repeat the process. 4. With the exact setup as described in No. 3 above, can I have the sonar attached to the RC boat? Answer: Well, I hope you have a patent on these ideas and/or are selling these contraptions because they sound promising and all of the configurations you present appear to be legal. Are the new Winchester XR turkey loads legal in California? Answer: This ammo is not legal because the law requires that all shot must be loose in the shell. So if the shot is encapsulated as you describe, then it is considered a slug. The specific section says, “Shotgun shells may not be used or possessed that contain shot size larger than No. BB, except that shot size larger than No. 2 may not be used or possessed when taking wild turkey. All shot shall be loose in the shell” (California Code of Regulations Title 14, section 311(b)). While this product violates the letter of the law today, this language was put into place originally for another specific purpose. It was to address a problem in the days of lead shot where buck shot would be wired together with piano wire and to prevent people from coming up with a way to turn shot into a slug (e.g. melted lead, rusted steel, etc.). In the future, these regulations may be rewritten to allow this type of ammunition, but as of now it is still a violation of the law and so you could be cited for using it. Taking sea cucumbers for personal consumption? Answer: Yes, you may take a maximum of 35 sea cucumbers while SCUBA diving as long as you are at least 1,000 feet seaward from the mean high tide line on shore. You must also be south of Yankee Point (Monterey County) to take sea cucumbers with SCUBA (CCR Title 14, section 29.05). Answer: Yes, as long as the trout in your freezer were legally taken and of legal size, then you can use it as crab bait. Be sure you do not have more than the legal trout possession limit and that all fish meet legal size requirements.